In this hard-rocking, spine-tingling supernatural thriller, the washed-up guitarist of a '90s heavy metal band embarks on an epic road trip across America and deep into the web of a sinister conspiracy. 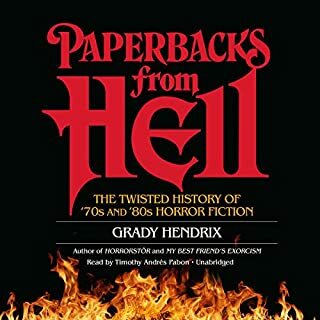 Grady Hendrix, horror writer and author of Paperbacks from Hell and My Best Friend's Exorcism, is back with his most electrifying novel yet. In the 1990s, heavy metal band Durt Wurk was poised for breakout success - but then lead singer Terry Hunt embarked on a solo career and rocketed to stardom as Koffin, leaving his fellow bandmates to rot in obscurity. Two decades later, former guitarist Kris Pulaski works as the night manager of a Best Western - she's tired, broke, and unhappy. 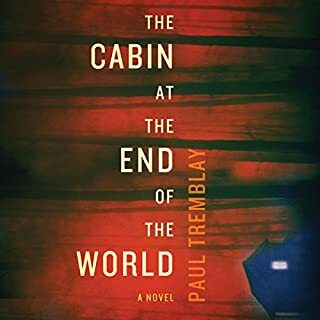 Everything changes when a shocking act of violence turns her life upside down, and she begins to suspect that Terry sabotaged more than just the band. 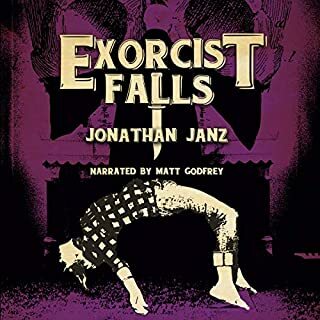 ©2018 Grady Hendrix (P)2018 Blackstone Audio, Inc. I will eagerly read another novel by this author. The story was well paced, Sharp, edgy and engaging. 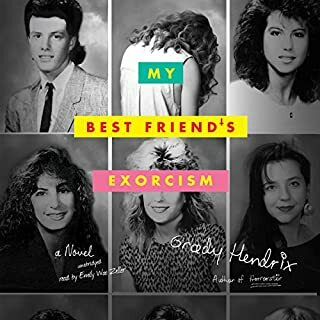 In the past week I have devoured two of Grady Hendrix’s books via audible, We Sold Our Souls and My Best Friend’s Exorcism. Both books have been captivating, I think in large part do to the expert voice casting for the narrator of each book. Grady plays with his words and imagery like an experienced guitar player plays and glides across a fret board, effortlessly and powerfully moving the story forward like the bullet that he equates he characters to. All that combined with the gritty raspy voice and versatile performance of Carol Monda this is a rock and roll roller coaster of a book that had me possessed from beginning to end!! I usually just rate books and dont do reviews, but this book was awesome. As a fan of horror and metal, it was right up my alley. I was quickly hooked in and loved how the story unfolded. Highly recommend this book, it kicks a**! This was a sold book, the horror Genre can get very tiresome at times with repetitive themes. This book is an original one-of-a-kind story in the horror genre that doesn’t forget to have a great ending and page turning pace. 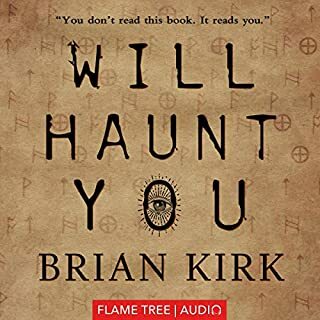 the narrator is awesome, the story is fun and gripping, the type of story you think about later in the day when you're not listening. I never once had to rewind because I lost focus. just get the dang audiobook and hear for yourself. One of the early scenes in We Sold Our Souls is of young Kris Pulaski first getting her guitar and playing her heart out in a basement. Black Sabbath. She's not very good, but she loves it. And at that early age, with bloodied fingers, she finds some kind of salvation. A door opens. From that moment forward, the book lives and breathes heavy metal. And a few minutes later, when we see Kris as an adult suffering through a front desk job at a hotel after having given up music, it hurts. Things have been bad for Kris for years since the band fell apart -- one night right before they made it big. One night right before it all literally went to hell. Now, Kris is back on the road to confront their former lead singer -- the only who managed to keep on going and make it big. The only one who managed to turn himself into a brand. She wants to find out what actually happened that night, and if after all these years there's any way she can make it right by either opening another door, or closing the first one. 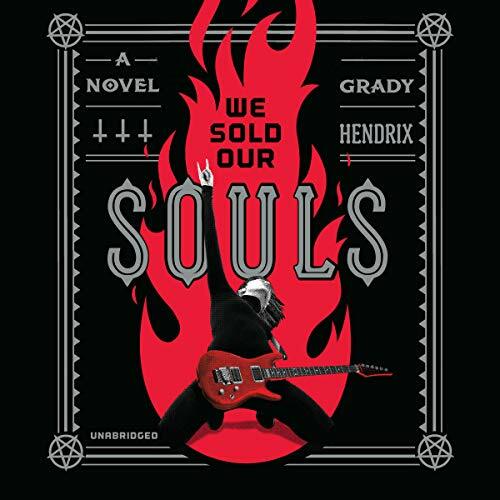 We Sold Our Souls is at times a rollicking road trip, a bloody hymn to heavy metal, an occasionally hilarious and often brutal horror story. 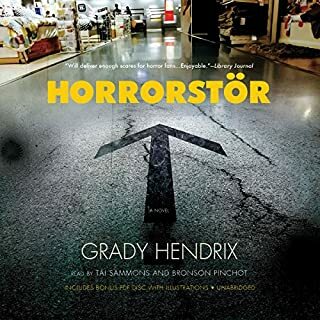 Grady Hendrix has a gift of being able to ground his stories with characters who feel like friends, to make us laugh.There's another scene later on where two characters with seemingly nothing in common are stuck in a car together for hours and have to figure out what to listen to while they drive. So they scroll through options on a phone, from Bruce Springsteen to Dolly Parton, and it's hilarious and delightful and kind of exemplifies what it's like to be on a road trip. Then there are scenes where people you expected to be around this story for a while suddenly, violently aren't anymore. But all you can do is keep on going. Carol Monda's narration is reminiscent of Kate Mulgrew's, slightly restrained but packed full of emotion and desperation. You can feel everything that Kris lost in her voice, all the things she's struggling toward. It's fantastic. If you haven't heard any of Hendrix's books, you're in for a treat! This is full-blown horror centered around characters we never stop rooting for, even when the odds against them are damning. Not Henrix's best work, and the Narrator really ruined the immersion for me. Not much happens. One of the best books I've ever listened to! As a 'Metal Head' myself, I could feel the raw passion that Kris (our main character) feels for music. Most of the chapters had me on the edge of my seat and biting my nails down to their beds. Absolutely a great work of fiction. The narrator suited the genre perfectly, her voice was gravelly and slightly horse like a metal singe after a show, she portrayed the characters personalities perfectly with each tone of voice.